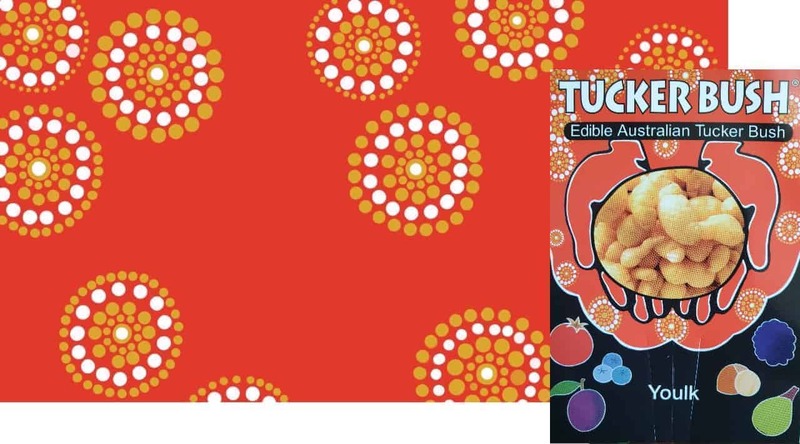 The long-awaited Youlk (Platysace deflexa) finally hits shelves this coming month with a special new label created by WA educator, mentor and artist, Buffie Corunna. For those of you who don’t know, Youlk is one of many native root vegetables that featured throughout Aboriginal cuisine. Also known as “Ravensthorpe radish”, this WA native is a potato-like tuber with a crisp texture, golden colour and hints of carrot and sweet eucalypt flavour. Unlike most native root vegetables, the Youlk plant lives on after a harvest — think of it like a sweet potato: you can harvest offshoot tubers, leaving the main plant and its suckers to continue growing. Although this plant loves moist, loamy soil, it can still thrive under dry, sandy conditions. Meaning no matter where in Australia you live, you’ll find some success growing and eating this traditional delight. 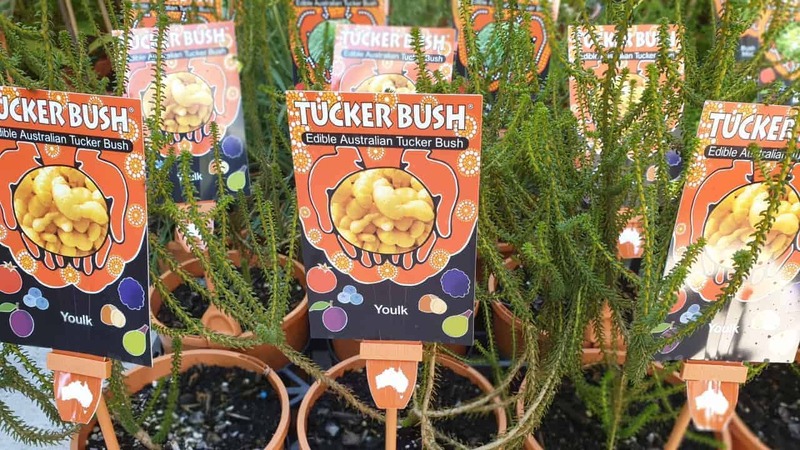 From April 1st 2019, you’ll find Youlk at all Tucker Bush stockists in Western Australia. Buffie Corunna is a Noongar Yorga woman, born and raised in Perth, WA. She’s always been creative, with a strong passion for arts and craft. 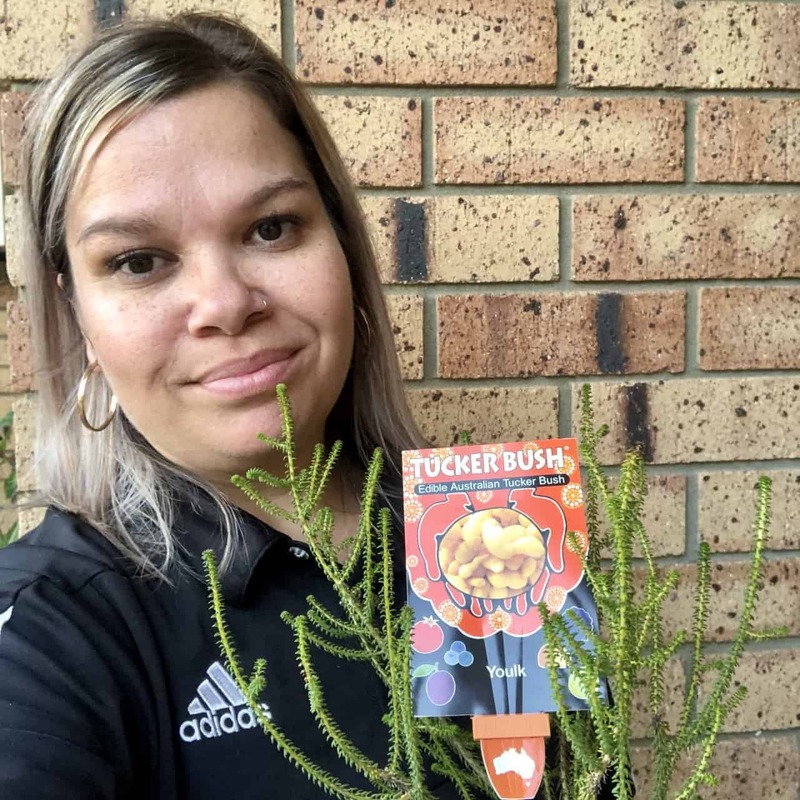 When she’s not creating Indigenous-inspired masterpieces through her art business, Gungurra, she works for Wirrpanda Foundation as a co-ordinator in their Deadly Sista Girlz Program, mentoring young Aboriginal women through school, life and in reaching their goals.